ECMT specialises in small group (maximum five riders) motorcycle touring holidays in Andalucia, Spain. We are passionate about motorcycles and have been members of the Royal Enfield Owners Club for many years. Having lived and traveled in a number of countries over the past 30 years, my partner Monica and I finally decided to settle down here on the Costa Tropical having falling in love with this region the first time we visited. With a curiosity to know what lies beyond the next valley or mountain, we have been on a continuous journey of discovery on our motos. 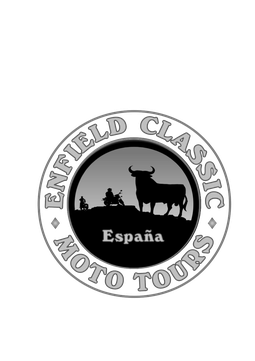 With the desire to share these discoveries with others, Enfield Classic Moto Tours was conceived. From our own personal experience of touring over the years we firmly believe the routes we have chosen for our tours are some of the best biking roads in the world. Steve, originally from Northern Ireland, is the main tour guide, route finder, mechanic, organiser and founder of Enfield Classics. Riding bikes since he was thirteen and mechanicing/restoring bikes for over 30 years, his wealth of knowledge regarding Enfield Bullets is incredible. Monica, originally from Madrid, handles most or our local administration. With over seventeen years of riding experience, she is just as comfortable green laning as she is riding sealed roads. Our tour guide Ron, originally from Scotland has over forty years of motorcycle experience and a wealth of mechanical knowledge under his belt. 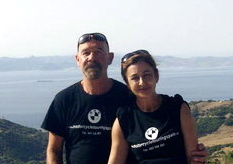 Together with his partner Anna, they also manage the guesthouse in Velez De Benaudalla.